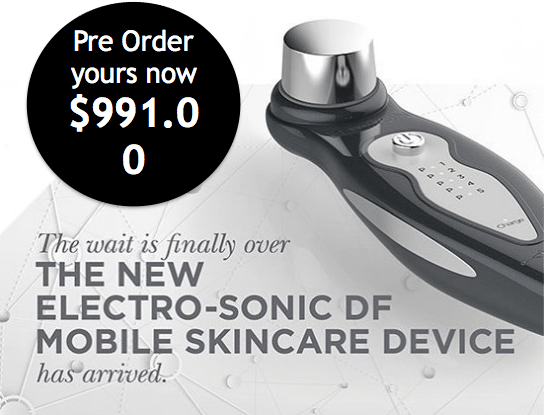 The DF Mobile Device is a revolutionary device… creating the future beautiful skin. Low-Frequency Sonophoresis used specific sound waves whilst Pulsed Iontophoresis uses electrical current to stimulate your skin. This duel electro-sonic technology assists in delivering essential nutrients to where skin needs it most.